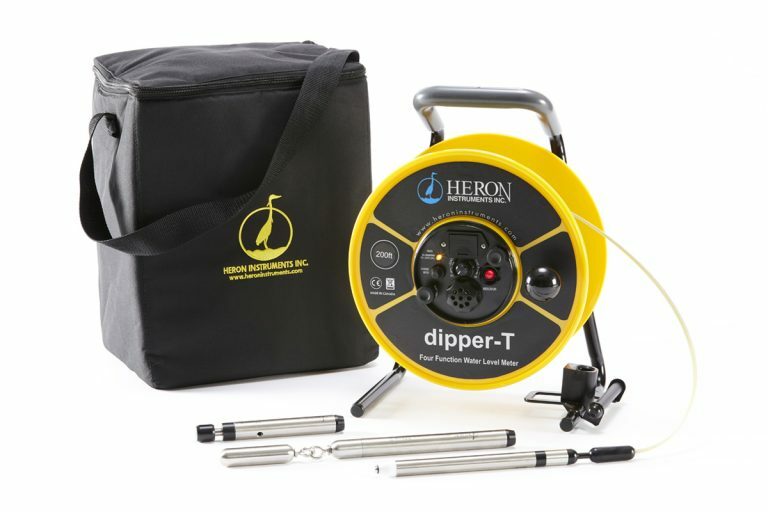 The dipper-T water level meter is designed for well drillers, consultants and hydro-geologists all across the globe. 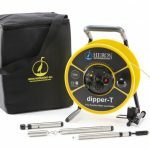 The dipper-T is manufactured for professionals who require the most accurate measurements of water levels, length of well-casing and total well-depth. The dipper-T water level meter can be conveniently converted to a multi-functional instrument, not only able to measure static and falling head levels, but also to determine the length of casing and well depth. 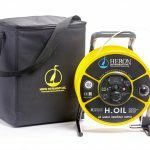 Designed with portability in mind, this self-contained unit is ideal for viewing in wells, drains, vertical shafts, open bodies of water, boreholes and narrow tubes over 25mm (1”) in diameter. 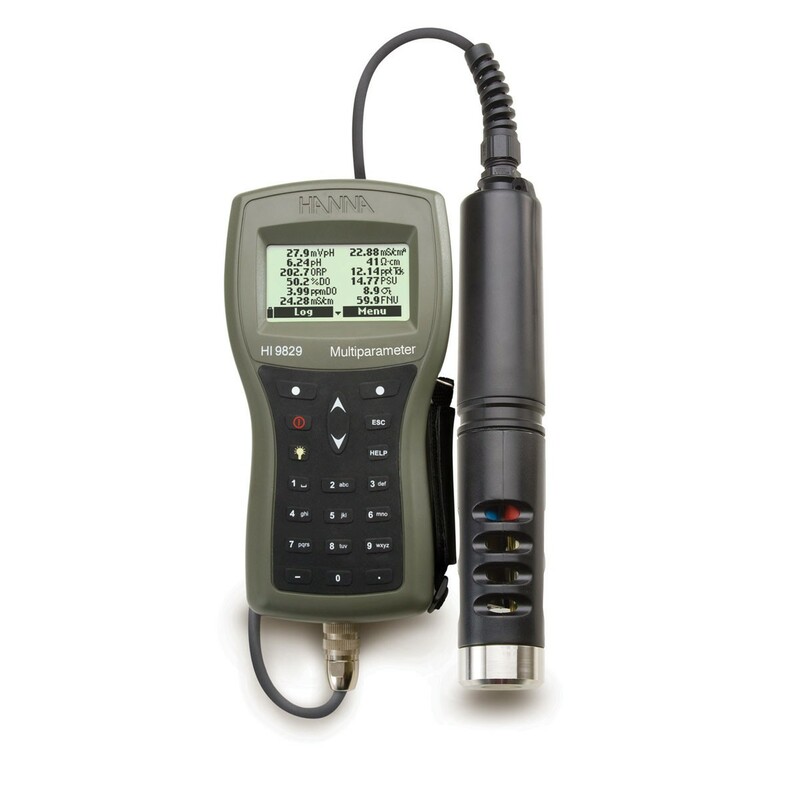 The HI98194 is a rugged, waterproof multiparameter meter that monitors up to 12 different key water quality parameters. A backlit, graphic LCD provides easy to read resolution even in low-lit areas and a combination of dedicated and soft keys allows easy operation. 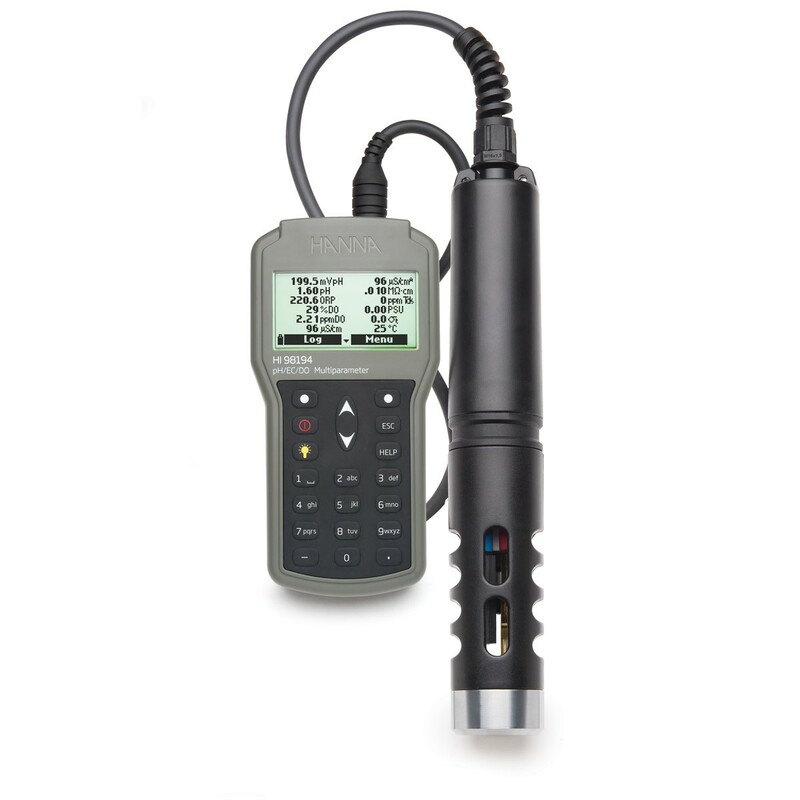 The powerful logging capability and digital probe make this multiparameter water quality meter a great tool. 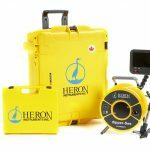 Comes as a complete system, allowing you to start taking measurements as soon as you receive it. CAL Check™ electrode diagnostics system alerts you to potential calibration problems so that you know your results are trustworthy every time. Great for environmental and industrial professionals. 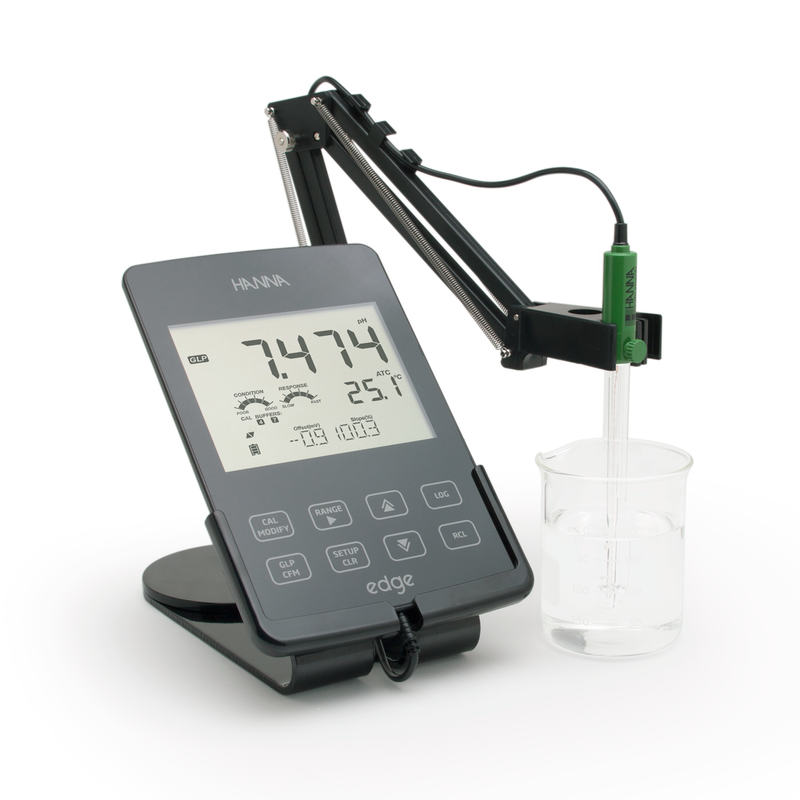 The HI98129 is an easy-to-use and accurate waterproof pH, conductivity, TDS (ppm) tester. 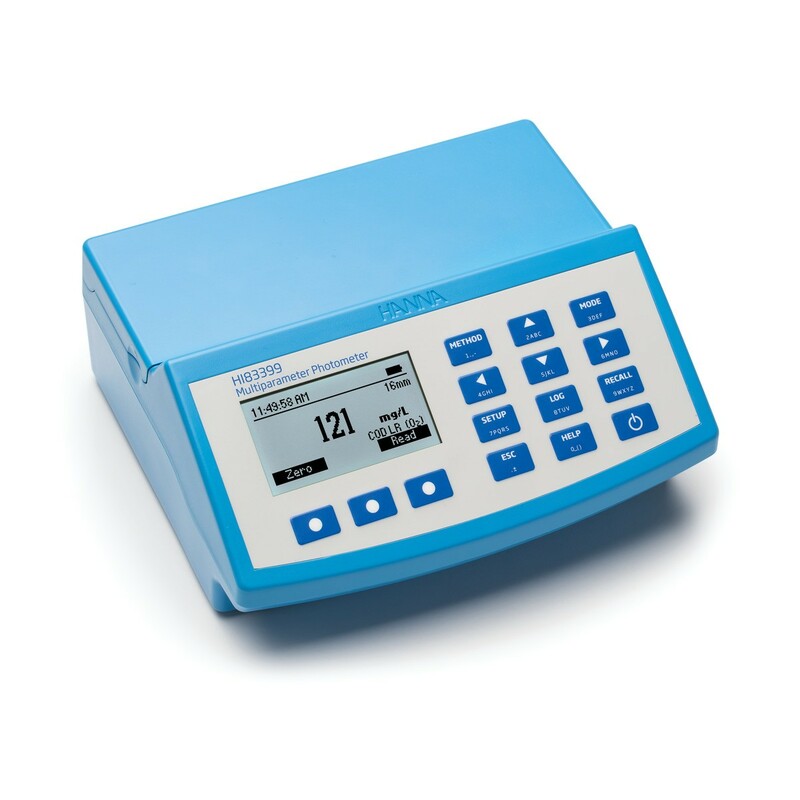 It measures pH, EC in the low range (0 to 3999 µS/cm), TDS (0 to 2000 ppm), and temperature. 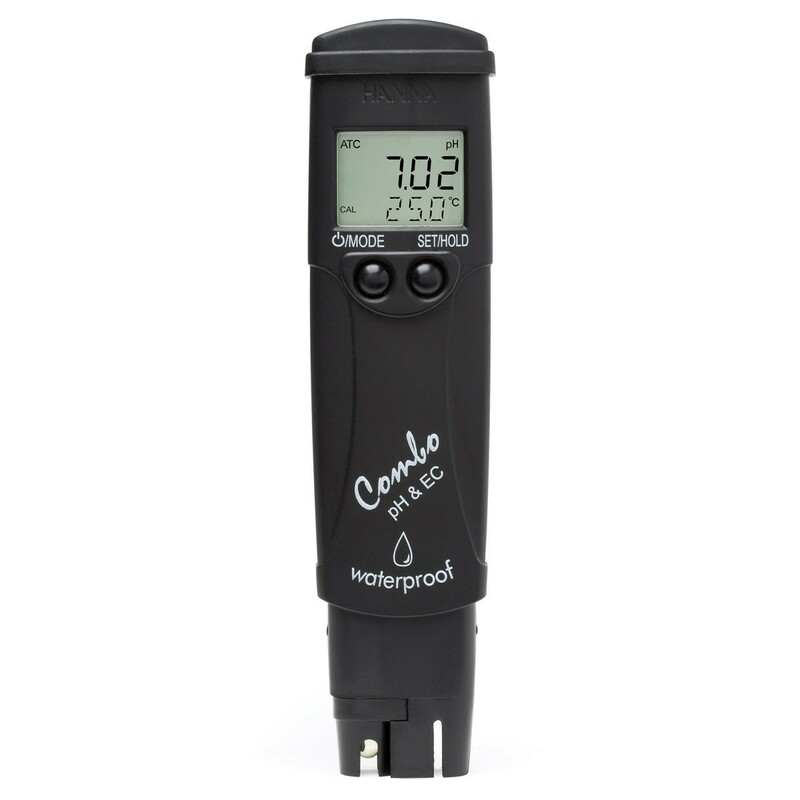 This floating, waterproof combination pocket tester has an easy to read, LCD and an automatic shut-off. All pH, EC, and TDS (ppm) readings are automatically temperature compensated (ATC) to prevent temperature-related variations in your measurements. For EC and TDS (ppm) readings, the EC/TDS conversion factor (CONV) is selectable by the user, as well as the temperature compensation coefficient β (BETA). 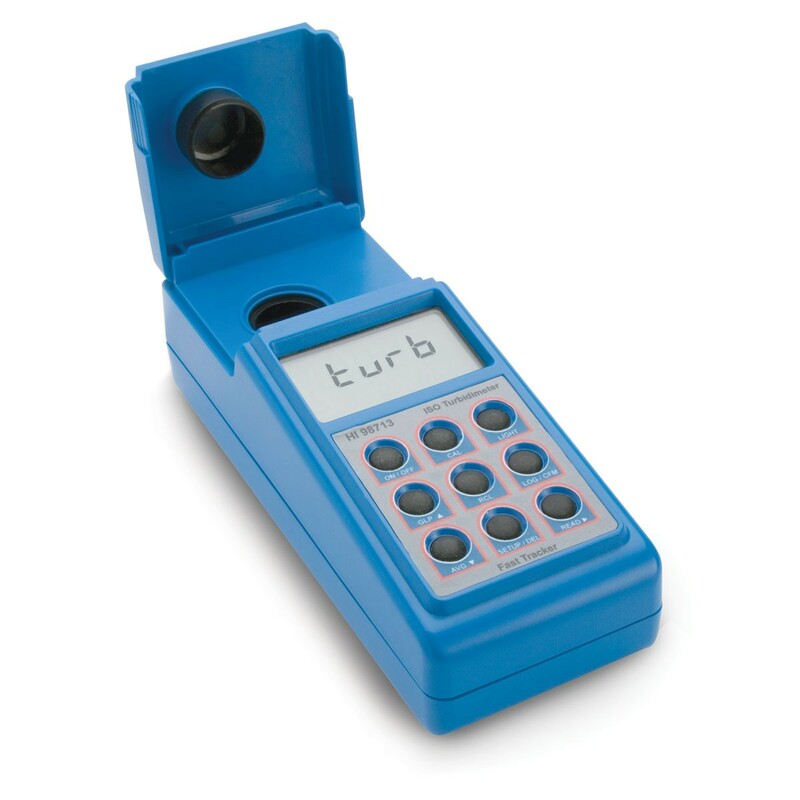 HI83399 is a compact, multiparameter photometer for measuring key water and wastewater quality parameters. The meter is one of the most advanced photometers available with a innovative optical design that utilizes a reference detector and focusing lens to eliminate errors from changes in the light source and from imperfections in the glass cuvette. 40 key water and wastewater quality parameters with 73 different methods covering multiple ranges are programmed into the meter. Wastewater treatment digestion parameters include COD, Total Nitrogen and Total Phosphorous which are important for monitoring nutrient removal. 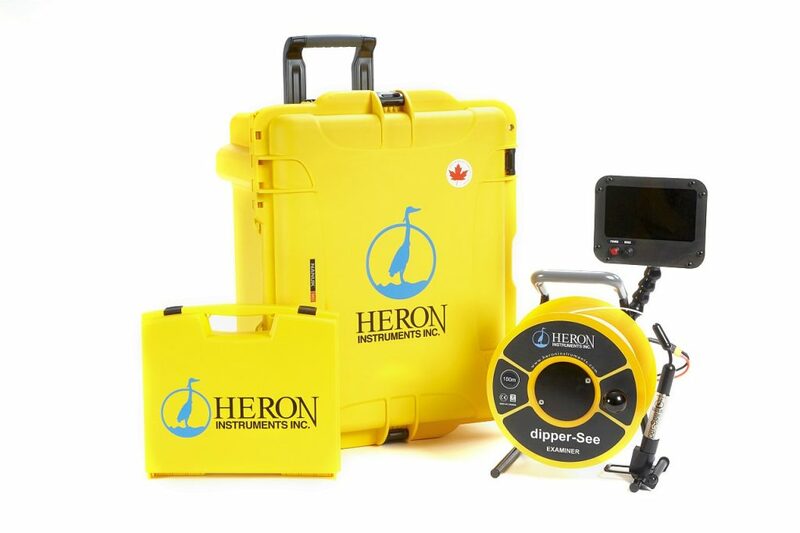 The HI83399 also offers an absorbance measurement mode for performance verification and for users that would like to develop their own concentration versus absorbance curves. To save valuable laboratory benchtop space, the HI83399 doubles as a professional pH meter with its digital pH/temperature electrode input. Now one meter can be used for both photometric and pH measurements. 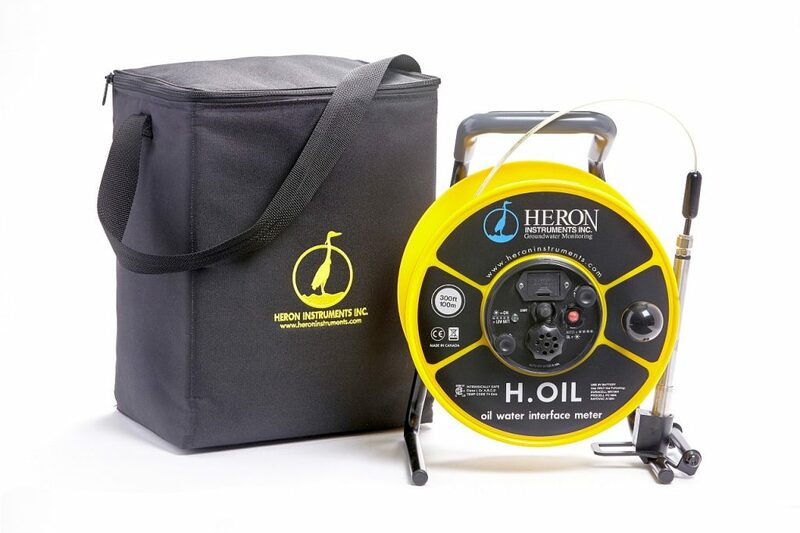 The HI98713 Precision ISO Turbidity Portable Meter is specially designed for water quality measurements, providing reliable and accurate readings, even within low turbidity ranges. The instrument is based on a state-of-the-art optical system which guarantees accurate results, assures long term stability, and minimizes stray light and color interferences. Periodic calibration with the supplied standards compensates for any variations in intensity of the LED light source. The 25 mm round cuvettes composed of special optical glass guarantee the repeatability of turbidity measurements.